Red Supremefood reviews on the internet are few, and hence this article explores how it works, and what other users think of the product. Red supremefood is a certified USDA organic, dairy free, soy free, gluten free, and non-GMO dietary supplement. It contains powerful probiotics to help optimize digestion and hence the bioavailability of nutrients. Dr. Colbert researched the effect of nutrition on the body’s ageing process. How does Red SupremeFood Work? 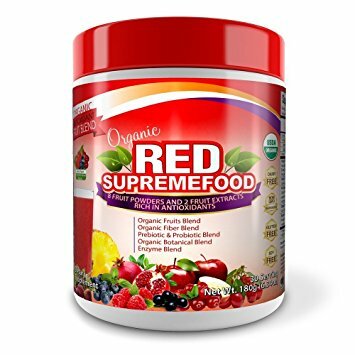 Red Supremefood is Certified USDA organic, dairy free, soy free, gluten free, and contains a potent blend of powerful probiotics to help aid digestion and bioavailability of nutrients. The probiotic blend includes flax seed and gum acacia to nurture and feed the probiotic bacteria. Red Supremefood also contains an enzyme blend consisting of lipase, lactase, cellulase, Bromelain, and Protease. Lactase is an enzyme supplement used to help people who have trouble digesting milk and other dairy products. Cellulase enzymes help the body obtain beta-glucose which can reduce carbohydrates and fat absorption, maintain proper cholesterol and appropriate sugar blood levels. Bromelain is a proteolytic enzyme (an enzyme that digests proteins) found in fresh pineapple, used to treat muscle injuries and aid digestion. Protease enzymes breaks down protein into its building blocks, amino acids which are vital for building lean muscle. In addition, Dr. Colbert added an organic botanical blend consisting of apple, and green tea leaf extract. For non-glycemic sweetness appropriate for diabetics, Dr. Colbert chose the subtle flavor of stevia. 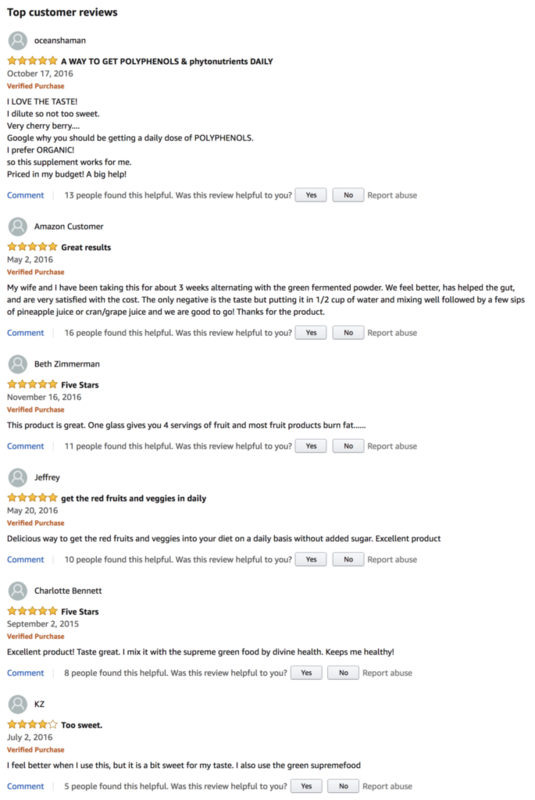 The place to find Red SupremeFood reviews is amazon.com. The overall rating is 3.9 stars and many of the users enjoy the taste of the Red SupremeFood. Some find it too sweet, and a as a result can find it sickly to drink. Reviewrs cannot dispute that it makes them feel good when they drink it. In general while reading the Red SupremeFoods reviews, there is a resounding rate of approval of this product and from verified purchases. Does Red SupremeFood Really Work Or Is It A Scam? We believe that supplements are not cure-alls, and therefore do not believe the product to be a scam. A balanced diet and regular exercise work in conjunction with the supplements to produce a positive result. We can determine from our research that Red SupremeFood is a real product and users seem to enjoy using the product. Red SupremeFood ingredients aid the fat burning process. In conclusion, Red SupremeFood is an organic product that contains enzymes that makes it a good supplement.